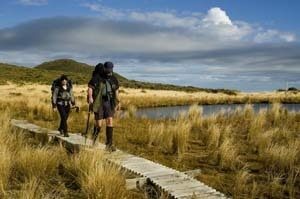 Before there was Lord of the Rings and long after the movie trilogy is relegated to the classic film shelf of video rental shops, New Zealand will still be known for tramping, as one of the best places in the world to hoist backpack, follow a trail and spend a few nights in the mountains. Some tracks are so spectacular they’re called Great Walks. One of them, the Milford Track, is known as ‘the finest walk in the world’ even outside of New Zealand. 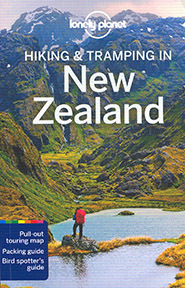 Jim DuFresne’s Hiking & Tramping In New Zealand is now in its eighth edition and is still the world’s best selling guidebook to trekking in the country, The just-released eighth edition of this classic covers 47 trails that range from the deep valleys of Fiordland and Mt Aspiring National Parks to the streaming volcanoes of Tongariro, the country’s first national park. 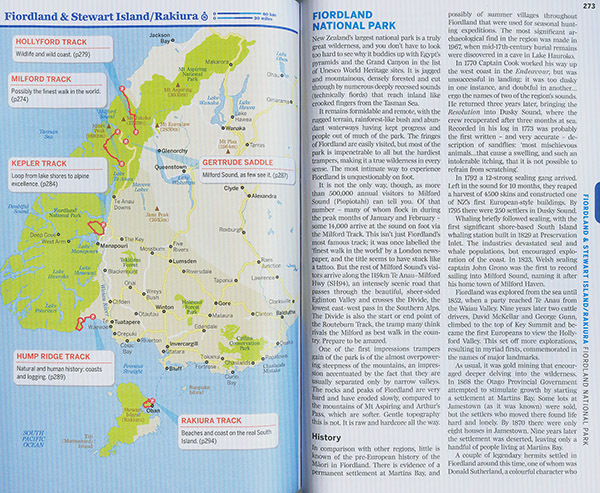 The Lonely Planet guidebook also includes a full-color section on the Great Walks of New Zealand, maps for all featured tramps and a pull-out touring map of the country, essential accommodation and transport information and an illustrated chapter to New Zealand’s wonderful birdlife.